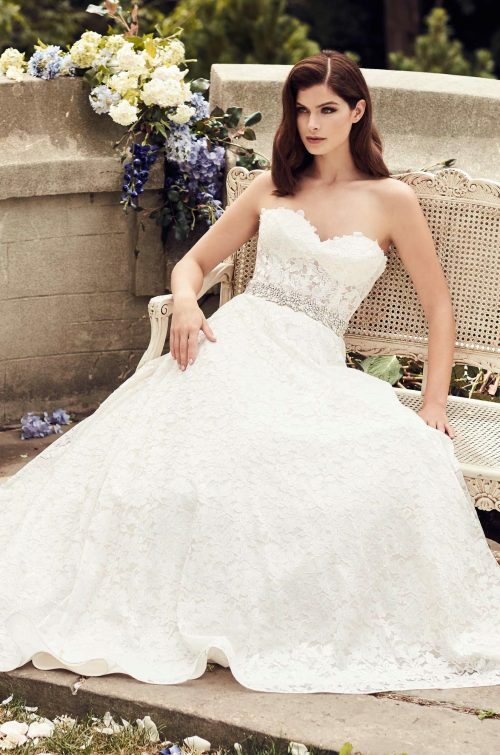 Paloma Crêpe and Guipure Lace Wedding Dress. Sheer corset Guipure Lace bodice with sweetheart neckline and spaghetti straps. Fit and flare Crêpe skirt with inverted seam at back of train.